Beall is not a recognized authority in evaluating scholarly Journals. Jeffrey Beall’s blog has no affiliation to any governing body or organization accredited to scholarly publishing. This is an important key element that needs to be considered when analyzing his blog. He is just a single individual writing a blog (full of nonsense) same as many others do over the internet. His blog is his personal opinion and has not been tested for its validity and as such has no authority whatsoever. Even so, Beall attempted to create a problem that does not exist. When we compare the number of open access journals around the world, Beall’s list is not significant at all. Despite that, Beall has maliciously discredited many Open access journals and demanded ransom in exchange for the removal of them from his hit list. This academic crime must end. We continually expose Beall conspiracy against Open Access Journals. Please support Friends of open access. Many publishers have written that Beall contacted them demanding money. Our experience is somewhat different in that Beall offered to provide his professional services and advice, which presumably would lead to our removal from his list. A specific dollar amount was not indicated other than a statement that his time was “very valuable” to him. I don’t know if this constitutes extortion or not, but at a minimum it is certainly a conflict of interest and unprofessional. Beall is a fake Ph.D.
Mr. Jeffrey Beall is a fake professor who is frequently referred to as Dr. Beall yet he does not correct people when he is addressed as Dr. Beall. Beall does not have a Ph.D. He is a masters student only who has no more credibility than a disgruntled student writing on "Rate My Professor". He is a dishonest person. If he posted on his blog that he was only a student no one would believe him. He needs the Ph.D. to be believable. Walts works on Bealls list – Ethics and Access 1: The Sad Case of Jeffrey Beall (http://citesandinsights.info/civ14i4.pdf) and Journals, “Journals” and Wannabes: Investigating The List (http://citesandinsights.info/civ14i7.pdf) – are really worth reading if you would like a more detailed look at the list. What are your thoughts about Jeff Beall's List? Should it be the only criterion for rejecting a journal a predatory journal? Jeff Beall's List of predatory journals is coming under a lot of criticism, as he is more and more found as being biased primarily towards open-access (online) journals. After reading much about him, I am moving to the camp of those who believe that it should not be the primary source to decide on the quality of a scholarly journal. I would like to find out what is happening in your different institutions of higher education on this list. Beall will tell you. He already asked money from IARIA, SCIRP, HINDAWI, TAYLOR and FRANICS, AIP and several others. There are several places (blogs) and several voices on the web. Pay and remove your name from Jeffrey Beall's list. 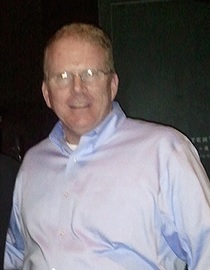 Commercial Companies pay Jeffrey Beall. They are their gold sponsors and transfer the money to Caribbean Accounts (St.Vicent and Belize). Beall never addressed any one of these allegations. Beall is an impostor and predatory blogger. Shame to University of Colorado. As a bystander, I found Beall's website a few days ago and paid close attention to what he wrote about MDPI. I also checked up some facts on my own, and posted a few comments. My comments went through initially. When I checked again today, I noticed that all my comments are gone. I can only assume that Beall deleted them. Beall is a predatory blogger. Now that your own credibility is being increasingly challenged, your ability to create controversy is going to be diminished. Eventually nobody is going to care about your list anymore. Predatory Beall's so called review board, appeal board has No names, no school affiliations, no job titles, not even initials. Predatory Beall’s blog meet his own standard for transparency? Not even close. predatory Beall’s “review board” and “appeals board” are filled with people only described as “friends.” No names, no school affiliations, no job titles, not even initials. Apparently, none of predatory blogger's friends have a name. This is strange, if not completely suspicious. However Beall’s unnamed “friends” help decide which journals are credible and which are not. I could write for days about the double standards and vague criteria used by Bogus Beall, but why? He’s just not worth it. My happiness in life does not depend on the approval of some Denver librarian. Yours should not either. For those who are adamant at supporting his non-transparent blog as though it was biblical prophecy, I can only remind you, at one time Bernie Madoff was worshiped on Wall Street. His fifteen minutes has also long since expired. The best way to judge any academic paper is to read it. I did look at Beall criteria as a whole. Some like the one I pointed out above just seem like ranting or in some cases almost laughable, “Have a contact address that turns out to be somebody’s apartment”. That may be a good example but not a published criteria for determining whether a journal/publisher is predatory. Try something along the lines of having a verifiable business address and phone number. That’s what I mean by nonsense. Maybe not the best term, and if so, I apologize but hopefully Beall get my point. In my view a list of poor quality publishers isn’t very helpful beyond publicizing the problem. Certifying legitimate publishers based on a clear, objective, and verifiable set of standards developed by a broad range of stakeholders is far more effective particularly if funding agencies start requiring publishers to be certified before they will pay APCs to the publisher. That is what we should be working to address this problem. Jeffrey Beall is not an academic of any standing nor a scholar. Doesn’t have a PhD. See below an article by Beall which is absolute rubbish and doesn’t have any academic content and rigour. Pretty pathetic and a desperate attempt to list it as a publication in his profile/CV. We wonder who reviewed this article and accepted to be published. Mr Beall disseminated his list via website, so, publishers that feel inappropriately judged by Mr beall should counter-attack via web site. Good luck. This website is a beginning. I tried to paste websites like this into Mr beall’s website, but unfortunately they are removed, instead of defending himself. This make me think that all this counter-webs contain true information, and Mr Beall does not want that the whole world know about his crime. Complete agreement that Jeffrey Beall is neither a scholar nor has any relevant academic credentials to make any credible statement of fact/opinion. Merely trying to leverage from free Internet as a means to promote his (unqualified) services. This is the ugly downside of unregulated Internet commentaries. Beall has no PhD but in his blog refer him as Dr.
Beall is not a doctor, does not hold a PhD, and should thus never be referred to as Dr. Unfortunately, Mr. Beall fails to correct the comments posted to his blog that refer to him as Dr. Beall. He should add a small note, each time, that that information is factually incorrect, and should correct it. In the same way that Ivan and Adam correct errors in their comments and in comments made by bloggers at RW. As you can see, my comments have been wiped off that blog, within 30 minutes of posting them. This indicates that Mr. Beall is biased, unfair and does not moderate based on valid criticisms. He is unable to face fair criticism either. Mamun’s query (and concern) is valid. Beall’s response is not and the message he has sent that scientist is not factually correct. c) I am of the opinion that several of the stories on the Beall blog should be retracted, because they are not substantiated by sufficient evidence to make the claims he makes. I can provide a substantial assessment if required, but that in itself would take an entire book volume to compile. Thanks for the thorough work. I did not realise how lunatic Beal was. With friends like him, non-open access publishers do not need many enemies. The rant against semantic web was uncalled for though. Semantic Web is working very well. The technologies are not always the ones envisioned initially. For instance, in business RDFa – that is RDF in HTML- took over RDF/XML for the moment. Also technology evolves slowly. Triple stores were very slow initially, hence probably the problem with Mulgara and the semantic web platform of PLoS. But the situation is getting steadily better (exponentially better), as with every technologies (I still remember my post-doc, where colleagues told me never to use Java for any serious programming because it was so slow). EMBL-EBI launched its RDF stores this year, and the potential for data integration there, where all the databases have different formats, is clear. Wow, Beall’s article is bad. Unbelievably bad, and that leaves me wondering how he managed to get a name in the field in the first place? I’m guessing this must be the first time he’s published something like this? Because I can’t imagine any self-respecting scientist paying this guy any attention at all if he’s previously ranted like this. Perhaps Beall needs to take a short course on Political Economy. I would recommend Adam Smith and in particular those sections where he takes apart monopolies to establish the conclusion that the only thing worse than a public sector monopoly is a private sector one. Oligopolies (or cartels) are not much different. Rhetoric as ridiculous as Beall’s will hasten our progress toward the fourth stage.